The Belgian BMX Open are an annual event featuring Dirt, Street, Park and Flatland. 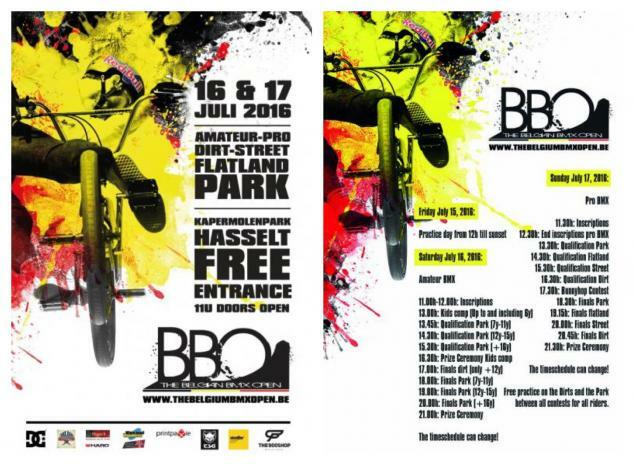 Next week from Friday to Sunday (15th - 17th) the Kapermolenpark in Hasselt will be Belgian BMX capital. The flatland qualifications and finals are scheduled for Sunday.